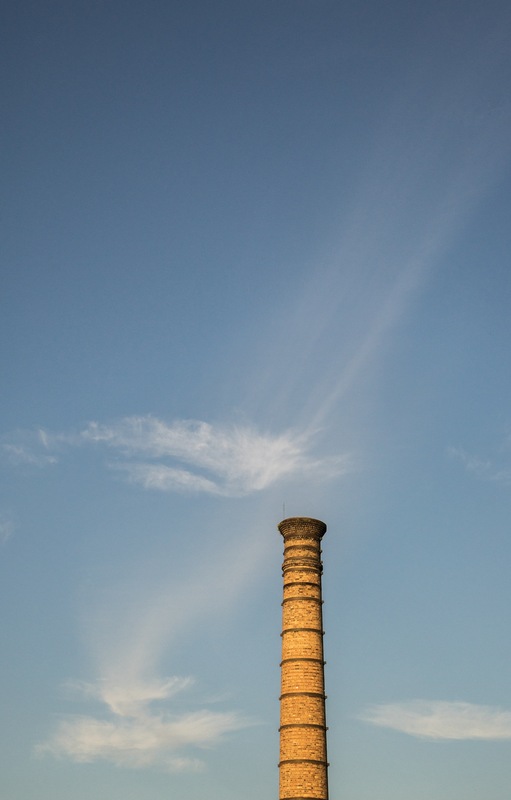 This is the Chimney stack for a deserted factory. I took the photo to contrast the hardness and colour of the chimney against the softness and colour of the clouds in the sky. Even though the two subjects are completely separate the whispey clouds are reminiscent of the chimney past action of billowing smoke. #hard and soft. #chimney and clouds #water vapour. #bricks and steel. #reminiscent of the past.